A study of deployed and non-deployed active duty, female Air Force personnel found that both rates of exposure to wartime experiences and reports of post-traumatic stress disorder (PTSD) increased between 2008 and 2013. Rates of post-deployment PTSD were highest among women who reported wartime experiences during deployment. The likelihood of a positive PTSD screen increased as the number of wartime experiences increased, but it decreased with increases in unit cohesion and self-efficacy, as reported in an article published in Journal of Women’s Health, a peer-reviewed publication from Mary Ann Liebert, Inc., publishers. Click here to read the full-text article free on the Journal of Women’s Health website through September 27, 2018. The article entitled, “The Woman’s Experience: A Look at Risk and Protective Factors for Deployed Female Air Force Personnel” is coauthored by Nicole C. Breeden, PhD and colleagues from The Pennsylvania State University and Bastyr University (Kenmore, WA). They examined relations among wartime experiences, such as indirect exposure to combat and the perception of being in danger of being killed, reports of self-efficacy, perceptions of unit cohesion, and PTSD symptoms. The researchers indicate that unit cohesion and self-efficacy may reduce the negative impact of wartime experiences to promote better mental health adjustment for female service members post deployment. 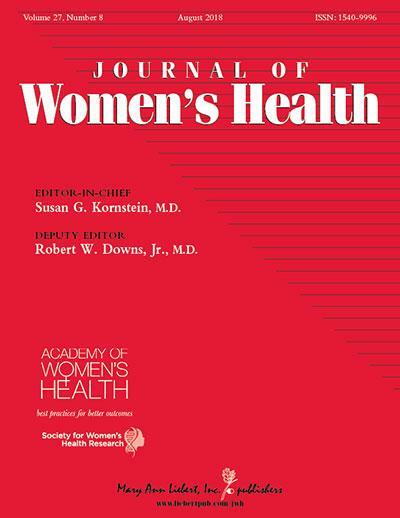 Journal of Women’s Health, published monthly, is a core multidisciplinary journal dedicated to the diseases and conditions that hold greater risk for or are more prevalent among women, as well as diseases that present differently in women. Led by Editor-in-Chief Susan G. Kornstein, MD, Executive Director of the Virginia Commonwealth University Institute for Women’s Health, Richmond, VA, and President of the Academy of Women’s Health, the Journal covers the latest advances and clinical applications of new diagnostic procedures and therapeutic protocols for the prevention and management of women’s healthcare issues. Complete tables of content and a sample issue may be viewed on the Journal of Women’s Health website. Journal of Women’s Health is the official journal of the Academy of Women’s Health and the Society for Women’s Health Research. Academy of Women’s Health is an interdisciplinary, international association of physicians, nurses, and other health professionals who work across the broad field of women’s health, providing its members with up-to-date advances and options in clinical care that will enable the best outcomes for their women patients. The Academy’s focus includes the dissemination of translational research and evidence-based practices for disease prevention, diagnosis, and treatment of women across the lifespan. Mary Ann Liebert, Inc., publishers is a privately held, fully integrated media company known for establishing authoritative peer-reviewed journals in many promising areas of science and biomedical research, including LGBT Health, Transgender Health, Population Health Management, and Breastfeeding Medicine. Its biotechnology trade magazine, GEN (Genetic Engineering & Biotechnology News), was the first in its field and is today the industry’s most widely read publication worldwide. A complete list of the firm’s 80 journals, books, and newsmagazines is available on the Mary Ann Liebert, Inc., publishers website. The sugar wars: Rhetoric or reason?